A cool summer breeze or a force 10 gale? Which one will it be? You decide. The adjustable inclination angle allows you to direct the air flow to where you want it. 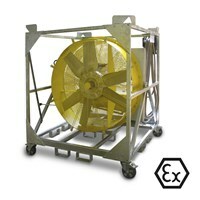 The TTW 35000 S barrel fan with a maximal air flow rate of 32,400 m³/h. Fresh wind for firms, fetes, film and photo shoots - the mobile and powerful TTW 45000. 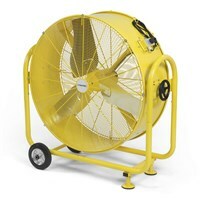 The TTW 100000 Wind Machine with a free blowing air volume of max. 109,000 m³/h. 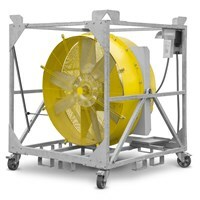 Wind Machines from Trotec: The prognose is stormy and cool. What should your wind machine make for a weather today? How about a light breeze that plays with the hair of a fashion model? 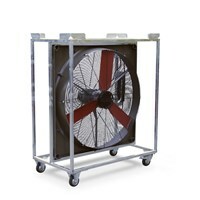 Or powerful wind gusts for action movies?Ok, we admit it: A wind machine is not only in use at photography or film sets, but it´s a very good item for cooling in large rooms, halls, the barn or the operation of cold air promotion Figures (Skydancer). But we find it exciting that a wind machine from Trotec is often the secret star behind the scences... und hochstapeln ist hier ausdrücklich erlaubt:because wind machine of TTW series are multi-stackable. So you can get anytime a storm front - for the big show in a wide variety of applications. This provides fresh air and cool heads, and thanks to the powerful design of the Trotec wind machines you will notice this really fast. 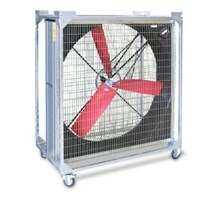 The Wind Machines from Trotec - with their performance they will conquer your professional heart by storm!